Iowa Home Restoration & Repair, LLC welcomes you to our website. In Central Iowa if you plan to have a finished basement or already have one, moisture could be an issue. We are the area leader in basement systems that protect against water intrusion. 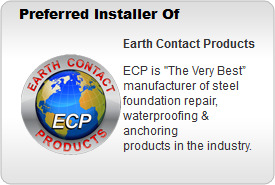 Since 2002, we have been a part of the construction, home restoration and repair business. We have many combined years of experience in basement waterproofing, foundation repair, crawl space vapor barriers & encapsulation, and mold testing & remediation. We also perform home inspections. We have performed over 1500 home inspections since 2012. If there are issues with moisture and/or mold our team offers professional interior waterproofing solutions, mold remediation, dehumidification systems, sump pumps & pits following all EPA and OSHA guidelines as well as industry certification protocols. We make it our business to do an in-depth evaluation of moisture intrusion in your home and give solutions on correcting the problem for your specific problem and budget. Whether you chose us or choose another company, we will be there to give you the best information and solutions to save you time and money. We always offer free estimates. We are a residential property service provider and provide our services to the property owners that need our help! Call Iowa Home Restoration & Repair, LLC today.